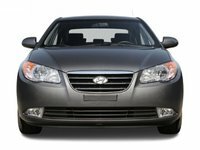 The 2011 Hyundai Elantra is a jaw-dropping, feature-packed game changer. 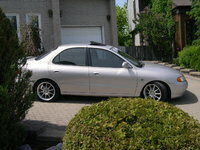 You get it all - beauty, comfort, performance, safety, reliability, and economy - at a truly unbelievable price. Very few automakers can match that package in any one car, but they definitely can’t beat the Elantra’s $15,000 to $23,000 pricetag coupled with Hyundai’s industry-best warranties. Since 2007 this family four-door has provided so much elbow room the EPA had to classify it as a midsize sedan, but that didn’t stop Hyundai from putting together a peppy package for this year, getting 40 highway miles and 29 city miles to the gallon. Although you can get as much room in this year’s Civic, losing 6 miles per gallon is sure to get costly. 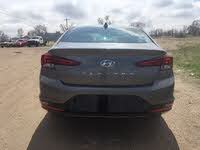 Those swoops and sweeps on the lovely all-new body aren’t just decoration - they give the Elantra a super-low drag coefficient, maximizing efficiency. You’ll get the same performance and economy whether you choose the 6-speed automatic transmission, standard in the GLS, or the optional 6-speed auto-manual transmission, which is standard in the Limited. The 1.8-liter inline-4 (I4) engine pumps out 148 hp and 131 lb-ft of torque, putting it second in power only to heavily laden and often pricier competitors like Chevrolet’s 2010 Cobalt and 2011 Cruze. For drivers in California or elsewhere with similar emissions standards, the PZEV-equipped Elantra loses only a couple of horsepower to meet the stricter regulations. This year’s Elantra is 2 inches longer and lower than before, giving rear-seat passengers taller than 5’9” good reason to slide down and make use of that extra legroom. Other changes for 2011 include an all-new enviable style, upgraded drivetrain, and upscale standard features for both the GLS and Limited trims, like heated seats, heated mirrors, XM satellite radio, blue instrument illumination, tons of new storage compartments, and automated head restraints to prevent shiners and whiplash in a rear-end collision. 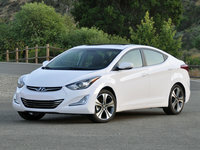 2011 Elantra drivers are overwhelmingly happy with few complaints. Aside from the headroom issue, it’s a bit noisy inside, and the auto-manual transmission is a little slow to downshift. Hyundai also has a few bugs to work out of the interior gadgets, but they’re all minor and included in the warranty. 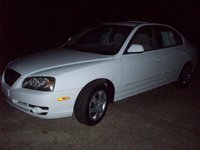 Otherwise, drivers love the warranties, gas mileage, perky engine and responsive feel. Looking into the Hyundai crystal ball, the 2012 Elantra isn’t slated for any major changes, but there are hints of something sporty and turbocharged coming down the line. Hyundai also began producing a hybrid Elantra for other markets in July of ‘09, but no rumors yet as to whether it will come across the pond. The Elantra’s numbers tell a story of a car overlooked until 1997, when the Elantra matched and then exceeded sales of Hyundai’s Accent. 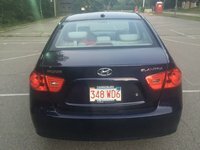 After the start of ‘04, a full 7 years later, Elantra lost its first place among Hyundai’s lineup, but to this day its popularity is second only to the Sonata's. The Elantra is a relatively new addition to the U.S. market, having made its debut in 1991 with a 1.6-liter, 113-hp, 22-mpg I4 Mitsubishi-designed engine. 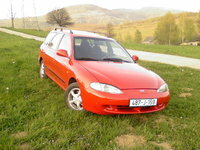 The 1994 model saw the addition of a 1.8-liter, 124-hp engine, and the 1995 Elantra came with all-new front and rear styling that added a bit of width, 1 inch in length, and just a hair less in headroom. 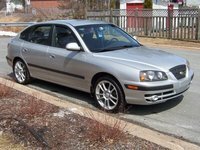 Hyundai added a station wagon in ‘96, equipping the sedan with a 1.5-liter, 107-hp I4 engine and the wagon with a 1.8-liter, 128-hp I4. A 1.5-liter lean-burn 98-hp engine was added later, and near the turn of the century a 2-liter engine was also made available. 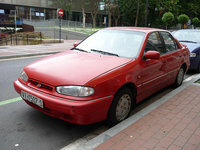 Hyundai didn’t move many first- or second-generation Elantras until sales suddenly doubled from less than 40,000 units each year to 83,000 in 1998. The turn of the century saw Elantra sales over 100,000, and it stayed that way for the next 6 years - at least partly due to changed management in ‘99, which wasted no time improving the company's build quality and warranties. Hyundai’s new management initially focused on improving Sonata production, so the Elantra’s first big shift wasn’t until the 2001 release. 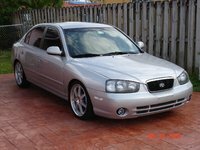 Unfortunately for Hyundai, most of this generation’s '01 to ‘03 models were recalled for suspension corrosion issues in "salt-belt" states, but it was otherwise a successful move to improve sales. This third generation Elantra came in two forms - the GLS sedan and GT hatchback - with several features standardized across the board to simplify dealer inventories and repairs in hopes of improving Hyundai’s “value car” image. 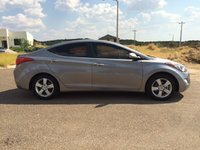 Every Elantra now came with front and front side airbags, air conditioning, power locks, power windows, and power steering, no matter the trim level. 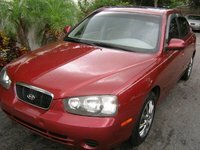 The 2004 facelift gave the Elantra an all-new body style for both the GLS and GT hatchback, and Hyundai added a GT sedan (re-named the Limited for 2006). The GT featured a stiffer suspension than its GLS counterpart, leather seats, foglights, alloy wheels, blue-lit instruments, and a lip spoiler with options like an automatic transmission, power moonroof, and upgraded antilock brakes with traction control. When the GT sedan took on the Limited title in ‘06, it gained new paint colors, a chrome vertical grille, leather interior, leather steering wheel, leather shifter and wood trim, but no alloy wheels - just the same 6-spoked cover over steel rims that you would get on the GLS. The ‘01 to ‘03 model years sported a 2-liter, 135-hp I4 with pretty decent fuel economy of 25/33 mpg whether you chose an automatic or manual transmission. The power was upgraded to a 2-liter, 138-hp I4 engine for the remainder of this third generation and kept until 2011. The 4-speed automatic gets 23/30 mpg, and the 5-speed manual gets 4 extra miles to the gallon. 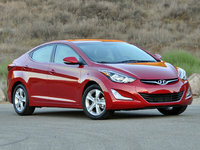 Sales slid sharply between ‘05 and ‘07 for the Elantra, and Hyundai needed to shake things up a bit. Hyundai dropped the GT trim altogether for 2007, instead opting for just the GLS, SE, and Limited trims and adding a crossover station wagon sort of SUV called the Elantra Touring. Those changes plus a bit of publicity from five safety-disabled Elantras for each of the red and blue teams on an Australian reality TV show called “Last Chance Learners” moved that sales curve back in the positive direction. 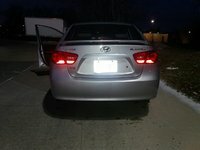 The ‘08 Elantra lost the Limited trim in favor of an optional upgrade package for the SE, along with stability control and brake assist in the SE’s standard features. The suspension and steering were re-tuned for ‘09, and a USB/iPod audio jack was added. A Blue trim joined in the next year, and iPod/USB connectivity was made standard equipment for all but the Blue. 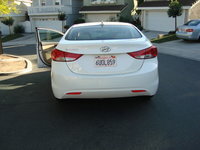 Then came the game-changing 2011 entry to launch the fifth-generation Elantra. Powered by a 1.8-liter, 148-hp I4 engine, it fetches 29 to 40 miles to the gallon with either the 6-speed automatic or manual transmission, and is packed with upscale features for the whole family. Hyundai really let the cat out of the bag with this year’s Elantra, and the mice definitely noticed - expect some heated competition for 2012, and not the political kind. Any Hyundai before ‘99 is a shaky buy, but the Elantra was a late bloomer and didn’t become a sturdy contender until the ‘01 model year. Anything older is underpowered, cheaply produced, and probably one errant squirrel away from being roadkill itself. First- and second-generation Elantras are notorious for serious engine failures, most especially of the transmission kind. If your hometown salts the roads in the winter, you might also want to avoid ‘03 and older Elantras, unless you can verify the rear suspension was updated to something not so likely to corrode. 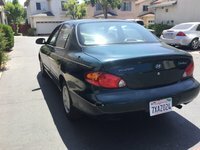 Otherwise, any ‘01 or newer Elantra is definitely worth considering, especially given the high marks for reliability those models get from every third-party source and driver review published to date. 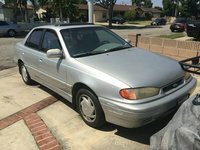 You’ll get 135 horses and 25/33 mpg from the 2-liter I4 engine in ‘01 to ‘03 Elantras and 3 more horses in ‘04 to ‘10 Elantras, with the choice of 23/30 mpg with an automatic transmission or 4 more miles to the gallon with the 5-speed manual. You can expect to spend less than $3,000 for the earliest models and about $13,000 for the newest in that range. The best of the bunch are definitely the ‘09 and ‘10 model years, especially if you want to pipe something besides the radio through your speakers - although you might be better off saving a few grand on a slightly older model and just switching out the stereo if that's your only reason to get something newer. These years are not much improved aside from a few tweaks to fuel economy, but if you’re looking to keep your new-to-you car for quite a few years, it’s worth buying a newer model with fewer miles under its carriage. 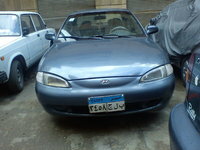 Start a new Hyundai Elantra question.